How Davidoff is becoming a 21st century Mecene. Monica Ferreras De la Maza has just started a three­ month residency at the International Studio & Curatorial Program (ISCP) in New York. The visual artist from the Dominican Republic is planning to create a body of work focusing on painting and drawing, in addition to gathering ideas for installations. “I’m looking forward to being able to take advantage of the facilities that ISCP has to offer, as well as integrating with an array of artists, curators, and art critics,” she says. 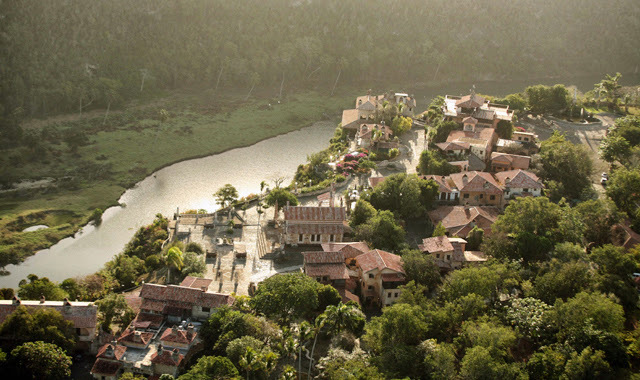 The aim is to provide opportunities for Caribbean artists to participate in internationally recognized artist­-in­-residence programs while also bringing artists from around the world to the Dominican Republic to take up residencies at the Altos de Chavón School of Design, the country’s leading institution for art and design education. For Hans­Kristian Hoejsgaard, president and CEO of Oettinger Davidoff Group, this is a chance for the company to give back to the Dominican Republic, where all its cigars are handcrafted. When fully rolled out, the annual program will enable five Caribbean artists to spend time abroad—in addition to New York, Berlin, and China, Davidoff is looking to extend the program to Brazil and either Spain or Switzerland, where the company has its headquarters—and bring five artists from outside the region to Altos de Chavón to share their knowledge with students and also develop their own creative practices. He is quick to stress that the company has no intention of using the residencies to build an art collection and that the initiative is independent from the business. “We have no aspiration to be the owner of a collection,” he says. “We genuinely want to support young and upcoming artists who might have a difficult time getting a chance,” he insists, adding that the company has already secured exhibition opportunities for the participating artists, months before their residencies have begun.